Try Continuous Ink System with your Epson WorkForce WF-3010DW0 and make 30 times more quality prints for the same money! Pay only 0.04 USD for A-4 full color print! Print more, pay less! It's realized thanks to continous ink system Epson WorkForce WF-3010DW. This device reduces the printing cost, but at the same time the quality of copies remains at the decent level. You can be sure about the quality and reliability of this printing apparatus. Epson WorkForce WF-3010DW CISS perfectly substitutes the originals. Presented device gives an opportunity to economize considerable sums of money on printing. The printing cost of any copy comes down several dozens of times. Printing volume amounts to hundreds of thousands of copies. It's easy to calculate how soon you purchase proves its value. 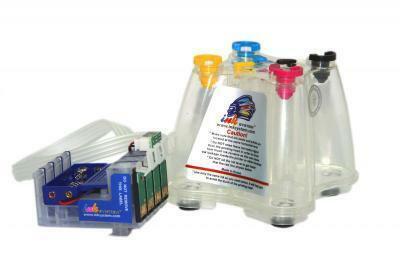 Buy bulk ink system for Epson WorkForce WF-3010DW is easy using our online shop. On our site is also presented ciss epson workforce WF-3520DWF at popular prices. The device is made so that it can allow the printer works safe. Ciss ink system Epson WorkForce WF-3010DW is hermetic; the assembly is made of high quality. In addition, there is no need to change interior tanks consequently the air can't enter into the printing head. 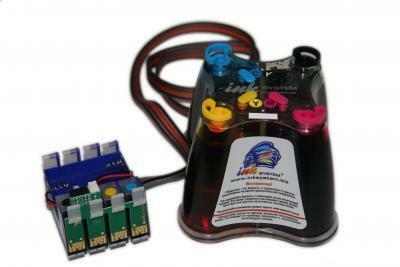 There is no problem while installing the ink system in devices.